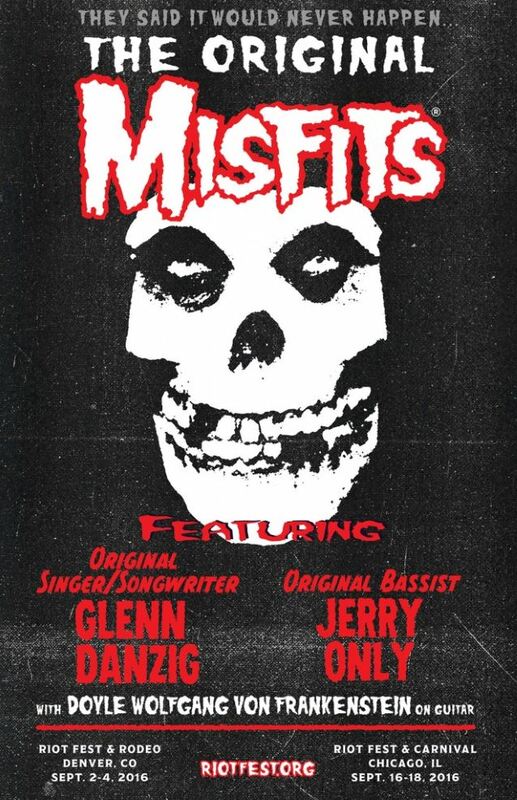 Officially A Yuppie: Misfits Reunite For First Time in 33 Years! 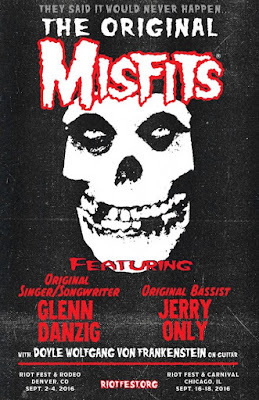 On Sunday night, the original Misfits line-up of Glenn Danzig, Jerry Only, Doyle Wolfgang Von Frankenstein reunited for the first time in 33 years at Riot Fest in Denver. Dave Lombardo on drums linked up with the Jersey punks to fill out the line-up. Take a look at fan shot video, as well as the setlist from the historic gig.